Getting feedback on your photography is a must for growth, and when it is positive it can really lift your spirits. My fall Dutch still life was reviewed on YouTube yesterday by Tony & Chelsea Northrup, click the link below to view, my image starts at 32 minutes. I loved writing this article. I am very involved with the museum and have attended as many of their events as I can, this event by far is my favorite. The image in the paper is not mine, but the image below is. The doll pictured below was made by 4 year old Boulder Creek resident Taylor Kievlan. Sunday December 7th the San Lorenzo Valley Museum had their 13th annual Children’s Christmas Tree Trimming. This is the museum’s longest running event and as usual was a huge success. 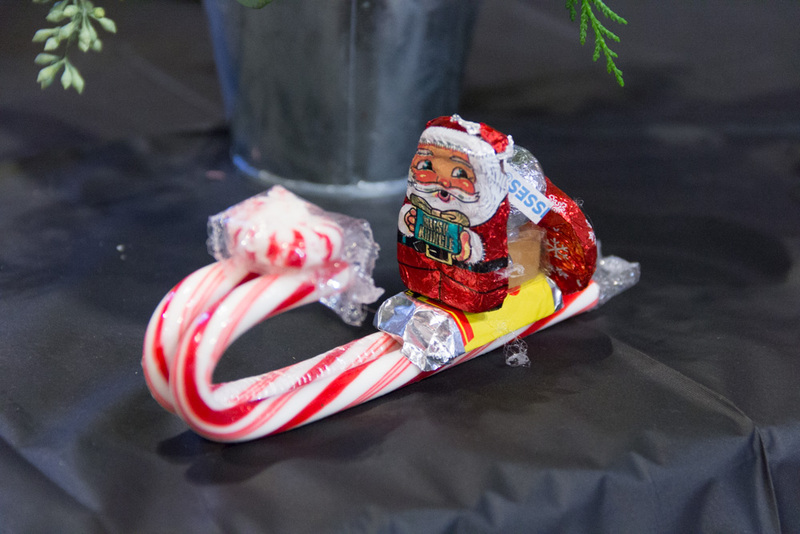 Over 40 families participated this year in getting ready for Christmas the old fashioned way by decorating cookies, making ornaments, and arranging greenery. This may be a children’s event but don’t think the parents weren’t involved as well; I saw just as many parents creating decorations as I did children. There was a wide range of choices of activities and for a $5 donation you could do as many of them as you wanted. The skill levels involved also varied a great deal, but none of the activities were too hard for children, as the picture attached shows. The lovely lady you see there was made by Taylor Kievlan of Boulder Creek who is 4 years old. This activity starts off with two twigs tied together with a head already attached. You then choose from dried and fresh plant materials, tie it with raffia, which you also had a few colors to choose from, and with hot glue, assistance provided if needed, you create until you are happy with the final product. There are even 3 example dolls to help you along. This was the Kievlan family’s first time and her grandmother could not be more proud of Taylor’s creation. Taylor’s mother says she is going to display it year round, not just at Christmas. I saw several very well done versions of this activity by a wide range of ages. I heard others say how their kids look forward to opening the box that has the ornaments they have made from years past. There were many more choices of activities. 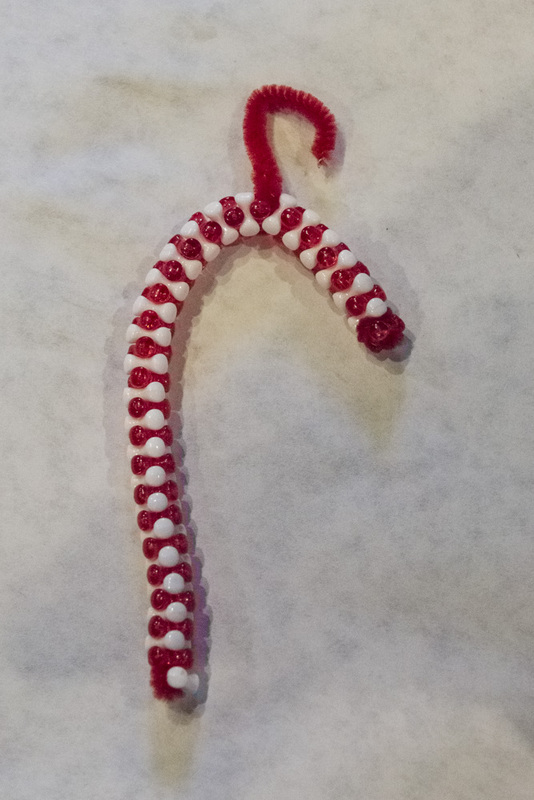 You could make a wreath or candy cane out of beads and pipe cleaners. If that isn’t for you, maybe making a Santa’s sled or a train out of candy is, this activity was a big hit with kids. If getting some candy hasn’t satisfied your sweet tooth you can decorate sugar or gingerbread cookies. If you wanted something more challenging you could make a corn husk doll and with a bit of pipe cleaner the doll quickly becomes an angel. For a hanging doll you could do the activity pictured. Finally for those of you who want to bring some greenery indoors you could make a hanging arrangement or a center piece out of fresh greenery, bells, and ribbon. There also was a decorated tree at the back of the museum near the original entrance to the Church. Next to that was hot cider and an arrangement of sweets for all to enjoy. There really was something for everyone. It takes a lot of work to put on an event like this as well as sponsors. The sponsors this year were Joe’s Bar, W/A Insurance Services, and Redwood Resort. It was organized by executive director Lynda Phillips who was helped out by many volunteers. Friday night 10 AmeriCorps volunteers who put down paper to protect the floor, brought in the tables, chairs, and helped decorate for the event. The day of the event 14 volunteers, three of which were also from AmeriCorps, helped with setup, assisting everyone with the activities, and clean up. As always it was a well planned and executed event. I have been to many activities at the museum this year and this one felt the most warm and inviting. It was like the whole community was coming together to decorate, socialize, and make this holiday time more than just about gifts, but about family and community. Now part of this could be because this was the first time you could really get outside after a week long rain storm and enjoy a bit of sunlight, I was very grateful this event was blessed with such nice weather. Our family will definitely be doing this again for many years to come, and I highly recommend it to everyone of any age. Santa Cruz Open Studios is a wonderful annual event were you get to meet and see artists in action. 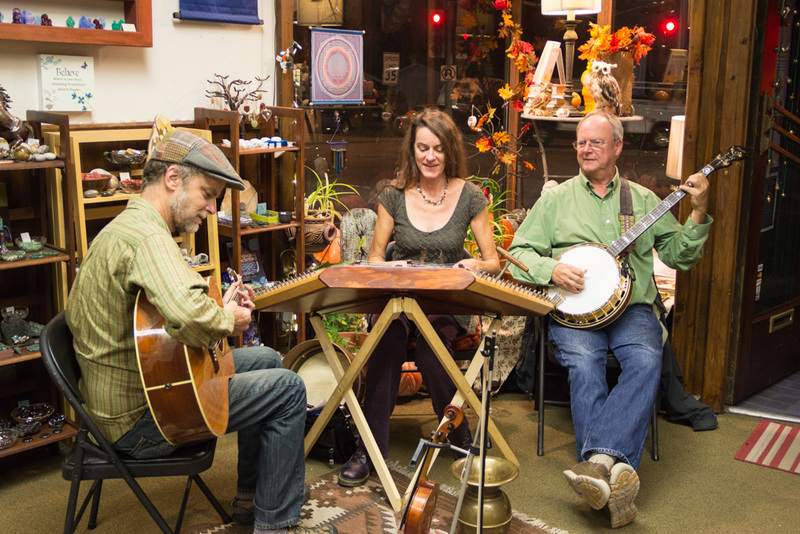 The artists in the Santa Cruz Mountains don't always get the same amount of attention as those in Santa Cruz. So to change that I did two things, first did a blog post on Boulder Creek Insider listing all of the artists, making them easy to find in the sea of artists in this event, second I found an artist in our mountains that I thought had the strongest message this year. It was an honor to write about Marc Shargel, point out his countless hours of volunteerism, and his mission as an artists. The article below tells a little of his story. Open Studios is a way for the public to get a glimpse into the diverse world of the artists that live among us, and this year is no exception. The San Lorenzo Valley has 22 artists participating this year in Open Studios Art Tour sponsored by the Santa Cruz Art League. For a full list of these artists visit www.BoulderCreekInsider.com. For me one artist stood out from the rest, Marc Shargel. He shows us how artwork can make positive change in the world. He is a photographer and conservationist based in Felton. He has been here for 30 years, been diving for 36 years, and been a professional underwater photographer for 26 years. In that time he has seen progressive change in the oceans and volunteered countless hours to protect them. His focus has been the California coast which has had marine reserves since 1973. In 2000 he started his conservation endeavors helping to form two marine conservation organizations. From 2004 to 2006 he served on a state panel that was charged with creating a network for marine reserves along our entire coast. These marine reserves are like small refuges in the oceans were marine life can breed and grow old. Some marine life such as rockfish have to reach 40 to 50 years old before they are in their breeding prime, thus making these marine reserves very important for diverse and healthy ecosystems. He did not stop there though, with the marine reserves now in place scientists needed to study them to see if they were effective. Not all of the marine reserves were implemented as advised, so he turned to art once again and started writing books to communicate to decision makers and the general public their importance. To date he has four books published, three in the Wonders of the Sea series, and his most recent Yesterday’s Ocean which is a history of marine life on California’s central coast. All of his books do a wonderful job of combining his underwater photography with historical images and easy to understand factual information to inform the reader and show them what is at stake. Scientists now feel that the marine reserves from Mendocino county to Santa Barbara have been successful. In the rest of our coast however, (from Mendocino county to Oregon and Santa Barbara to Mexico) the marine reserves are spaced too far apart and are too small to be effective. Marc is now expanding the focus of his art beyond politics to the public. He wants to communicate the amazing beauty of our coast to as many as he can. As the person who has seen the changes in our oceans for almost four decades he now wants to share that more intimately with the general public. He is having his first ever underwater photography class in February, to show people hands on what he has seen and learned. He also is continuing with his books, canvas prints, and postcards to get the word out there. To see his artwork, register for his upcoming class, purchase his books or other artwork please visit www.LivingSeaImages.com. This was my second article about the Mountain Art Center regarding their current show. One of my images made it into the paper, but do to the restraints of printed media the rest did not. Luckily though blogs don't have this same restricts so I am able to include more images. To find out who did which artwork please read below. Mellow Yellow at the Mountain Art Center is starting it’s second month on display and if you haven’t checked it out yet you really need to. The show opened on July 16th and it will be closing September 27th. It features 20 local artists and a wide range of mediums; including mixed media, ceramics, sculpture, jewelry, wood, photography, as well as paintings in acrylic, oil, and watercolor. Now don’t be deceived by the show’s name, these pieces of art are anything but Mellow or boring. The backroom of the gallery, with it’s deep yellow accent wall and vibrant pieces of art, is dynamic and exciting. By contrast, the front main room of the gallery has a much more calm and relaxing feel to it with neutral white walls and softer almost pastel like colors in the artwork. This room may feel calm and relaxing, but the art it displays is quite thought provoking. Many of the pieces have layers of meaning and discovery. A great example of this is a painting by Tina Masciocchi called Tree of Life. The background colors are calm and soothing with blue on the top and yellow on the bottom. The main element is a tree which gives an overall pattern of crossing branches to the piece. It is painted as three separate panels which when hung looks like kimono, which expands on the meaning of the piece and starts you thinking. Then a closer look reveals that the tree is growing out of what looks like an anchovies can. This gives you a mixed sense of Japanese culture and caned foods, making you ask WHY? This isn’t the only piece in the show like that, and many of these artists are known for their unusual pairs of elements, as well as layers of meaning. There is a sitting bench in the main room with a binder about the artists. This allows you to sit down, do a bit of reading, and absorb the artwork further. Your mind will really get a workout at this show and will be thinking about it for quite some time afterwards. In addition to my book review article I had two articles in the art section of the paper. The Mountain Art Center is an amazing local resource for all artist, and in particular young budding artists. This week Mountains Art Center wrapped up their final session of Art Camp. This was the eighth year they have done an art camp and this year it was split up into 4 sessions, each session being 1 week long. For children ages six to twelve art camp was Monday through Friday with one class in the morning and one class in the afternoon. Tweens and teens had their own class in the late afternoons. This allowed for each age group to get the attention they needed, while allowing for maximum learning. Each week of classes had space for 14 children and most classes were full. Each session had a theme and was executed by eight teachers, giving the kids a diverse palette of inspiration and instruction styles. They worked with many different materials such as beads, clay, metal, and paints. For the younger children the first session started off with the theme Wild Woods, session two was Machine Madness, three was Sun Time Fun Time, and the final session was Animal Friends. The themes for the teens was Clay for Teens, Robotics I & II, Manipulating Metal, and ending with Throwing on the Potter’s Wheel. The results have been excellent and the goal of encouraging artistic expression and growth has been achieved. The children came away with a feeling of excitement and inquisitiveness about the artistic possibilities. The center is doing a wonderful job of teaching and inspiring the next generation of artist. Next summer, consider this summer camp program for your budding artist and see how the art center can help them grow and flourish! I am sorry to report that this gallery is no longer, it is very much missed by all of us.